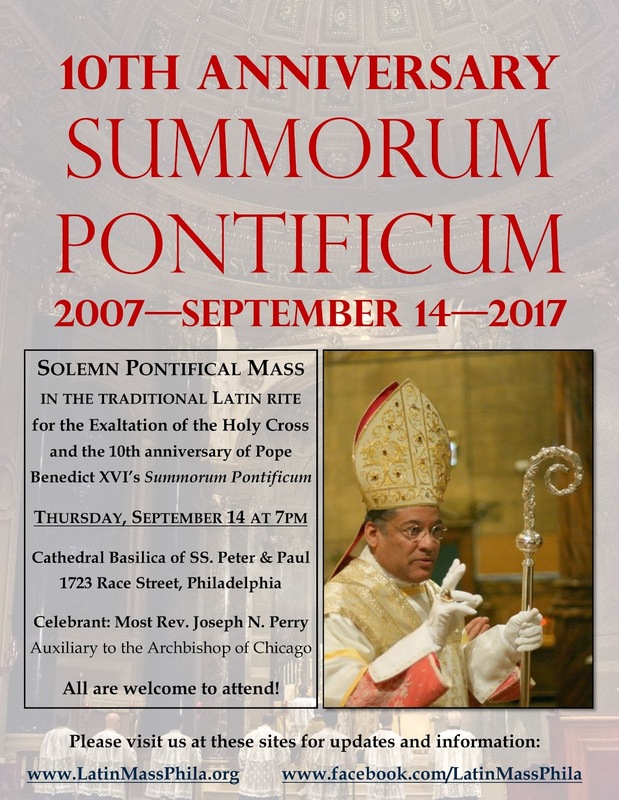 On September 14th, the feast of the Exaltation of the Cross, His Excellency Joseph Perry, Auxiliary Bishop of Chicago, will celebrate a Solemn High Pontifical Mass in the Cathedral Basilica of Ss Peter and Paul in Philadelphia. 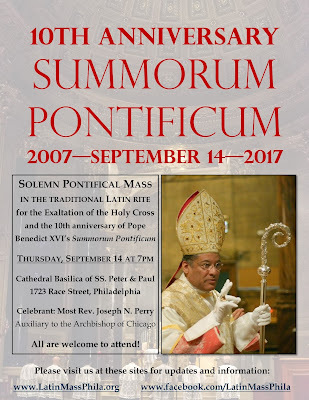 This was, of course, the day on which the provisions of Pope Benedict XVI's motu proprio Summorum Pontificum, which we celebrated yesterday, became legally active in 2007. The Mass will begin at 7 pm; the cathedral is located at 1723 Race Street. Click here to see the Facebook page for the event, and here on Eventbrite.